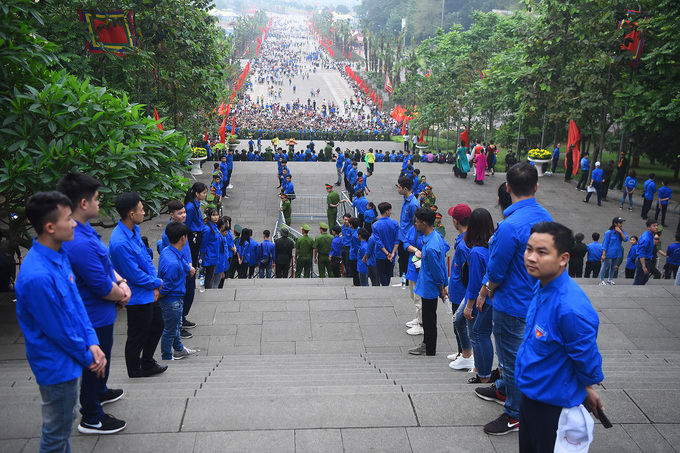 Pilgrims left early in Sunday morning for Nghia Linh Mountain to offer incense to the mythical founders of Vietnam on their death anniversary. 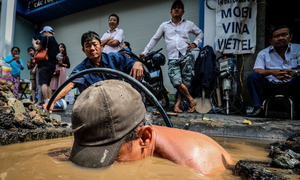 Vietnamese celebrate the commemoration day of the Hung Kings (2879-258 BCE), the nation's mythical founders, on the 10th of the third lunar month every year. 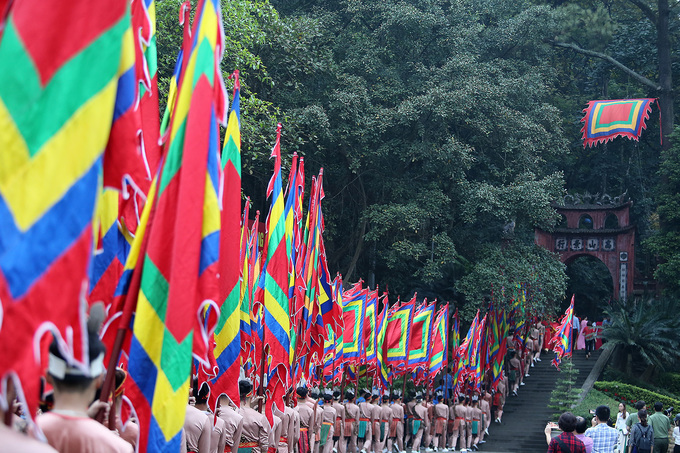 A festival is organized at the Hung Kings Temple on Nghia Linh Mountain in Phu Tho, a northern province neighboring Hanoi. As the commemoration day falls on April 14 this year, the three-day festival started on April 13. 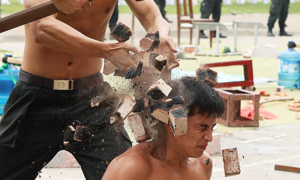 The festival is a gala affair with folk games, bamboo swings, rice cooking contests, lion dances, human chess, water puppetry, wrestling, and crossbow shooting. 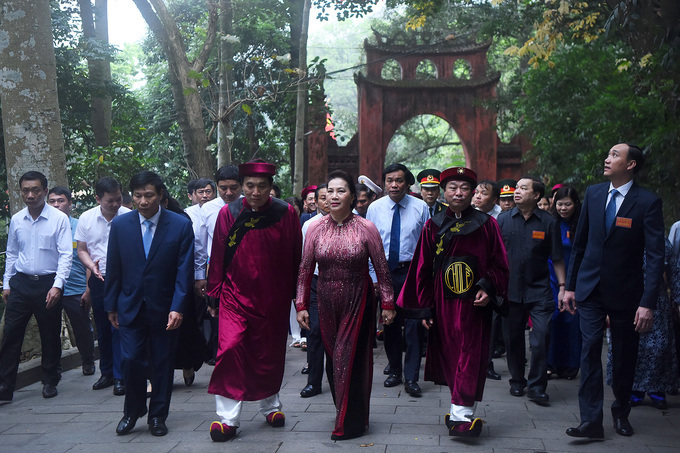 A group of officials set off Sunday from the Ha (Lower) Temple inside the Hung Kings Temple Complex to offer incense to the Kings. The pilgrims head to Thuong (Upper) Temple on Nghia Linh Mountain, where the Hung Kings are worshipped. 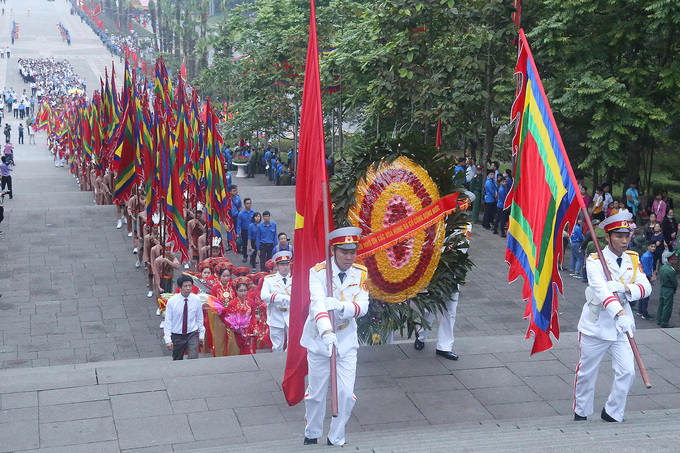 They carry a wreath with the message "Forever grateful to the Hung Kings who built the country." The delegation consists of more than 200 people. 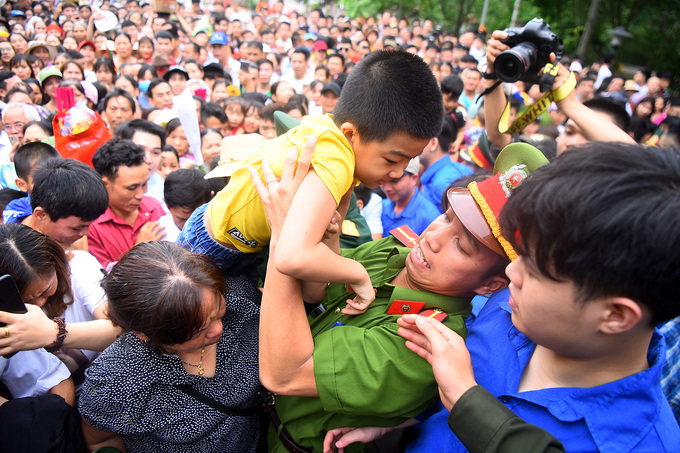 They climb up 300 steps, taking about half an hour to reach the Thuong Temple. National Assembly Chairwoman Nguyen Thi Kim Ngan (middle), Minister of Culture, Sports and Tourism Nguyen Ngoc Thien and Phu Tho Province's top authorities led the delegation. They offered incense to the Hung Kings at Thuong Temple at 6.30 a.m. 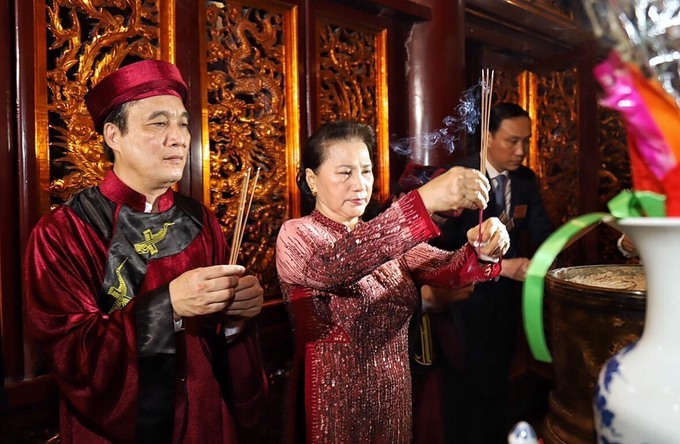 Following the ceremony, Bui Van Quang, Chairman of Phu Tho Province and head of the festival organizers, read an eulogy expressing pride in and gratitude to the Hung Kings who built the country and paid tribute to ancestors who sacrificed their all to protect the country. Security forces and volunteers set up barricades at the entrance to the Ha Temple, dividing the people, to prevent chaos due to the crowds. 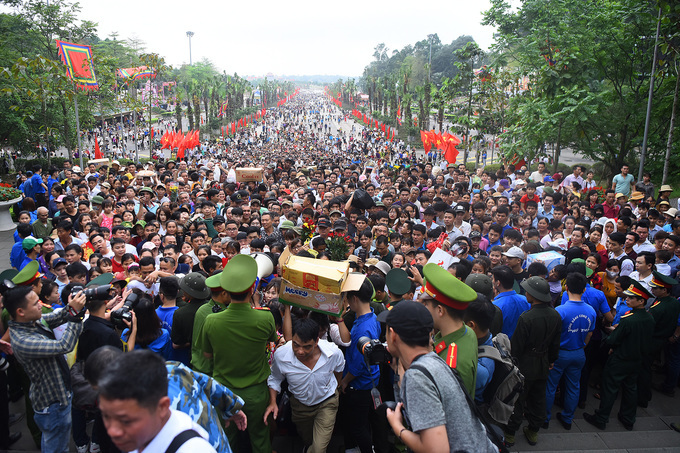 Nearly 5,500 people were mobilized to ensure security during the incense offering, including 1,000 police officers, 100 soldiers and 4,500 young volunteers. Volunteers and policemen lined up in two rows along the entrance to the temple yard to keep visitors on the move. 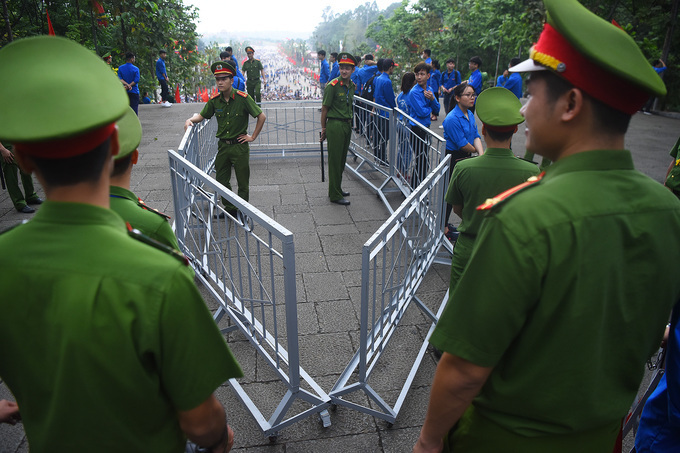 After the leaders completed the incense offering ritual at the Thuong Temple, the iron barricades were removed for people to go up the mountain. Thanks to proper organization, there was no crush of visitors at the Ha Temple’s central yard. The Hung Kings Temple's facilities can only accommodate half a million people, but on the main days of the festival, there are usually three or four times that number. Jostling and pushing are common at the temple during the ceremony days. Police officers need to work overtime to ensure security and safeguard children.